All courses will be marked, but you will need to be alert if you are going to navigate using the course markers alone. Ride for Pain is pleased to be able to help you learn how to use your smart phone to navigate using the free Ride With GPS app. You can use this knowledge for other rides too. Ride With GPS offers lots of functionality and you are encouraged to become a member, but “Starter” is free. 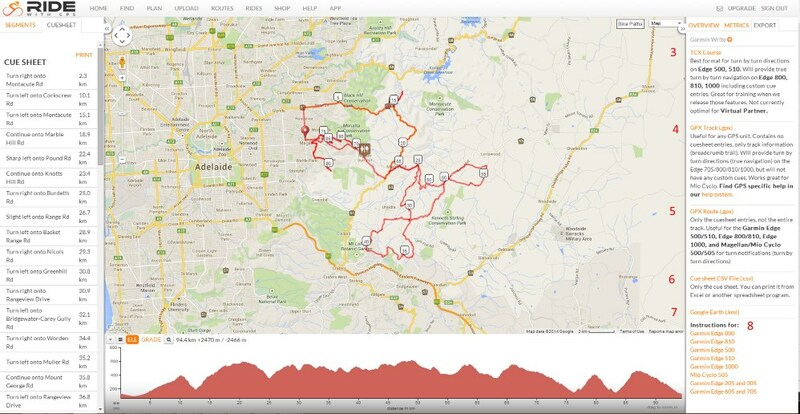 The 2017 Ride for Pain has been set up as an event on Ride with GPS: 2017 Ride for Pain. Use your smart phone or GPS device to navigate. We have used Ride with GPS (see above links) so you can download a GPS file to navigate by. You can use a GPS device if you have one, but now you can also use your smartphone to navigate. This will increase battery use so consider using a battery pack. To be able to see your phone while you are riding, consider using a handlebar mount. PLEASE NOTE: Import errors can occur. You should check your imported course and cue sheets carefully to ensure their accuracy. The Ride with GPS app is the best app to use with this ride. You will need to follow these steps to take advantage.